We understand having your vehicle impounded for being illegally parked is not a pleasant experience. Below is information to help make the retrieval process go as smooth as possible. Always call to verify the storage location of your car, the amount due, paperwork required, and to make sure someone is available to release your vehicle. To find out more information on how to retrieve your vehicle, please call 757-543-2372 and speak to one of our 24/7 dispatchers. We do not want you waiting long for your car to be released So, please call 757-543-2372 to verify someone is available to release your vehicle. 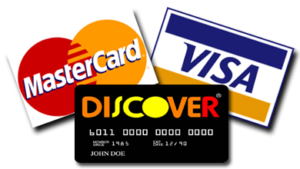 We Accept Cash, Visa, Mastercard (Card Owner Must Be Present. We Will Not Run Cards Over The Phone). We Do Not Accept Checks. Only the registered owner of the vehicle, a person with a notarized letter from the registered vehicle owner allowing that person to pick the vehicle up, or a person with a power of attorney from the registered vehicle owner, may retrieve a vehicle. A registration, title or insurance policy must be shown in order to verify the registered owner of the vehicle. Facility is manned 24 hours a day, but a driver still may have to be dispatched to release a vehicle based on the location of the vehicle in the lot. Any person with the keys and a valid driver’s license may retrieve a vehicle. If you would like to retrieve a vehicle outside of “attendant on duty” hours please make an appointment by calling 757-543-2372. Only the owner of the vehicle, a person with a notarized letter from the vehicle owner allowing that person to pick the vehicle up, or a person with a power of attorney for the vehicle owner, may retrieve a vehicle. A registration, title or insurance policy must be shown in order to verify the owner of the vehicle. Vehicle releases are by appointment only. Paste the owner of the vehicle, a person with a notarized letter from the vehicle owner allowing that person to pick the vehicle up or a person with a power of attorney for the vehicle owner may retrieve a vehicle. Vehicles may be stored in the Norfolk or Chesapeake Facility. Only the registered owner of the vehicle, a person with a notarized letter from the registered vehicle owner allowing that person to pick the vehicle up, or a person with a power of attorney from the registered vehicle owner, may retrieve a vehicle.A registration, title or insurance policy must be shown in order to verify the registered owner of the vehicle.Vehicle releases are by appointment only. We recommend you always search for “Private Parking –Towing Enforced” signs when entering any property you visit. If these signs are posted, the property you are visiting probably has some form of parking policy. If you are still unsure of the parking policy make sure to call who you are visiting and understand the parking policy of that property. Be on the lookout for marked spaces. Look for “Numbers” or “Reserved” markings. We recommend you do not park in these spaces. Be aware, even if a spot is designated for “Visitors” the property may still require a valid visitors pass to park in the visitor space. Again, you should be aware of the parking rules for where you are visiting. Many businesses often use the term “Patrons Only While On Premises” on their signs. We recommend you never park your vehicle on a business parking lot and then leave the vehicle unattended on the property. We recommend you are always mindful of where and how you park your vehicle. You should avoid double parking (parked in two spaces or blocking a space in), Fire Lanes, No Parking Zones, Blocking Dumpsters, or in a Handicap Space without the appropriate permit. If the sign posted where you are parking says “Authorized Parking Only”, we would suggest that only the Property Manager, or property owner can authorize you to park on the premises. In some cases, vehicle owners may have to renew their registration on-line and wait for their registration decal to be mailed. We recommend in this case you simply print out your registration receipt and “post it in plain sight” inside your vehicle. If your vehicle is impounded for expired registration, or any other city code violation, you must understand the fee’s are not a fine, they are labor fees. If you did renew your registration but failed to correctly display your updated registration on your vehicle and your vehicle is impounded you will be responsible for the impound fees. If you are parked in a “Decal Controlled” environment, please make sure your pass or decal are clearly visible to the tow truck drivers. Decal’s should be adhered to clear glass (not under tinted windows). Passes should be hung properly on the mirror hanger or in clear site of your dashboard. Please remember, it is the vehicle owner’s responsibility to clearly show their parking pass or decal when parked. Passes or decals “not in plain site” will not be honored if the vehicle is impounded. Showing us that your pass “was in the glovebox” will not change the status of reason for impound and you will be charged for the towing fee’s. Remember, these fee’s are not a fine, they are for storage and labor. Disclaimer: The previous recommendations do not authorize you to park “in any capacity” on any property that has Affordable Towing & Recovery signs posted. These recommendations are not binding and do not represent the parking policy of any property we are contracted to tow from. These are simply “recommendations” provided to help you be better informed when parking your vehicle. Affordable Towing & Recovery cannot authorize you to park on any property we are contracted to tow from. Following these recommendations does not suggest, imply or guarantee your vehicle will not be impounded for being illegally parked.